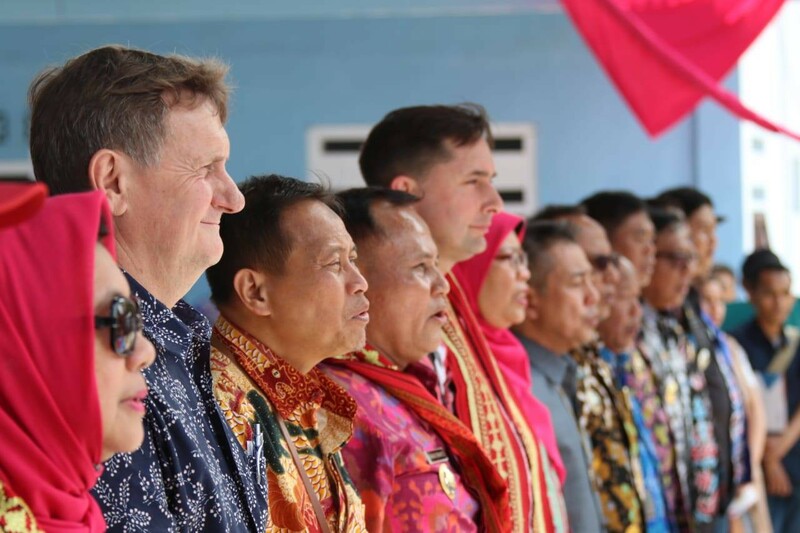 A total of 40 Australian Brahman Cross calves owned by 38 breeder groups in the Livestock Production Cooperative (KPT MS) were auctioned to the wider community in Tanjung Sari Subdistrict, South Lampung (15/11). 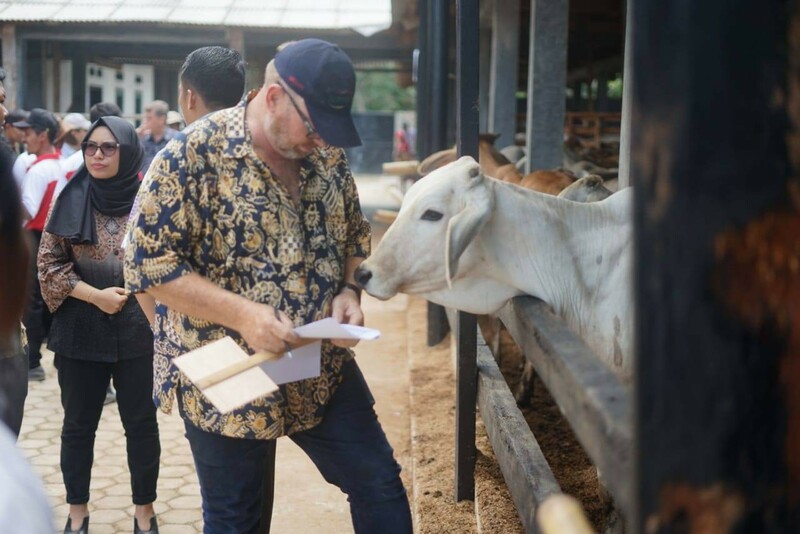 The forty cows are part of a total of 142 calves that have been successfully bred by the KPT MS for 18 months, under the Indonesia Australia Commercial Cattle Breeding (IACCB) Program which is aimed at increasing cattle populations in Indonesia. In addition to the 40 calves marketed to the general public, KPT MS also held a closed auction to sell 47 calves to the members of the cooperative, while the other 55 calves were still not weaned from the breeders. 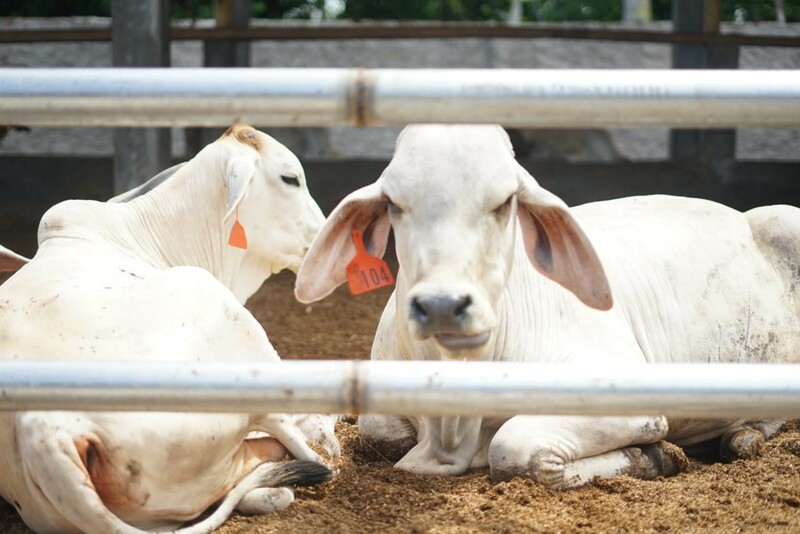 KPT MS joined the IACCB program in April 2017 and received 100 Brahman Cross (BX) heifers and 5 bulls from Australia. 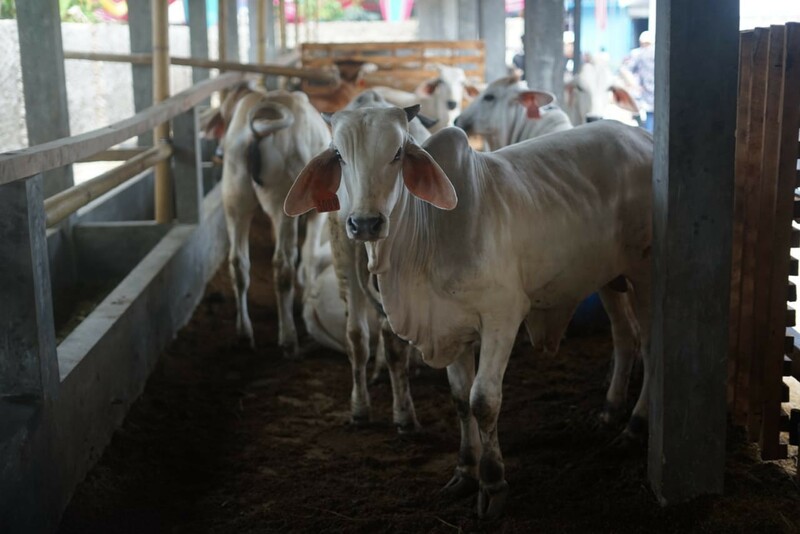 By November 2018, the KPT MS had produced 142 calves, with 87 of them already weaned and into the grower period (age ≥ 6 months). 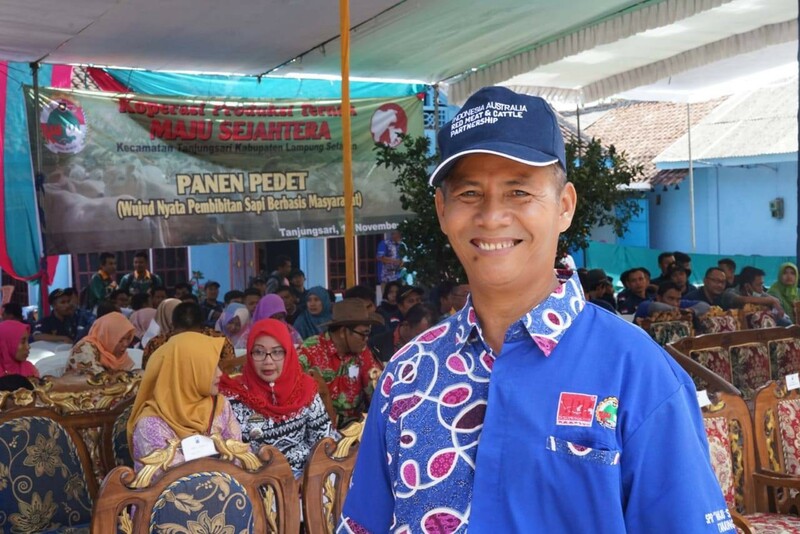 Head of the Livestock and Animal Health Service Office of South Lampung District, Drh. 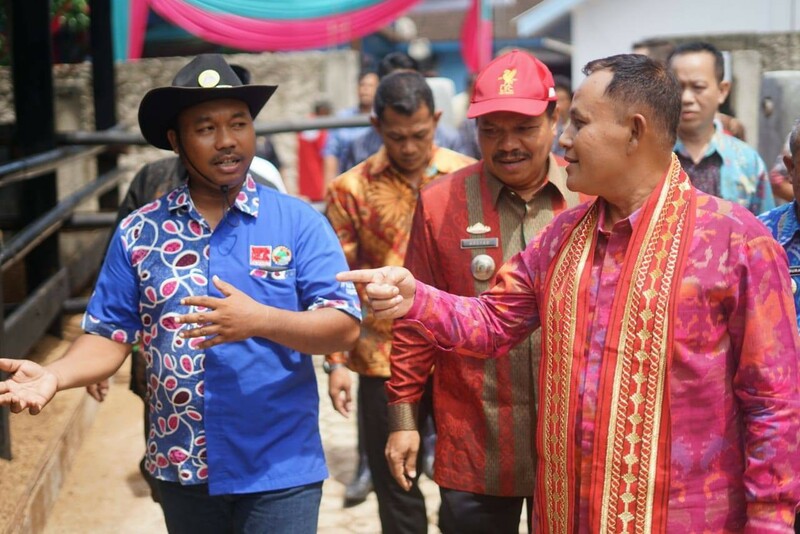 Arsyad stated that South Lampung has tremendous potential for cattle farming as the district produces large amount of agricultural waste which could be used as cattle feed. 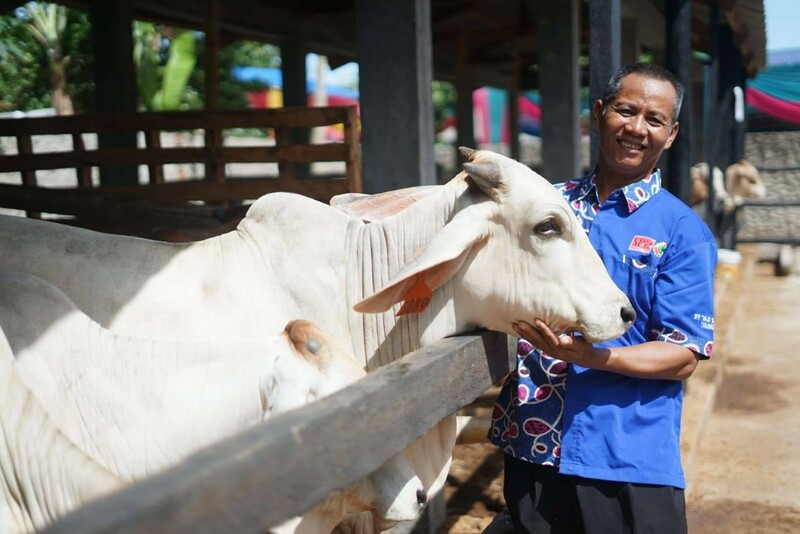 "This calf sale is proof that South Lampung farmers are able to look after the Australian Brahman Cross cattle. 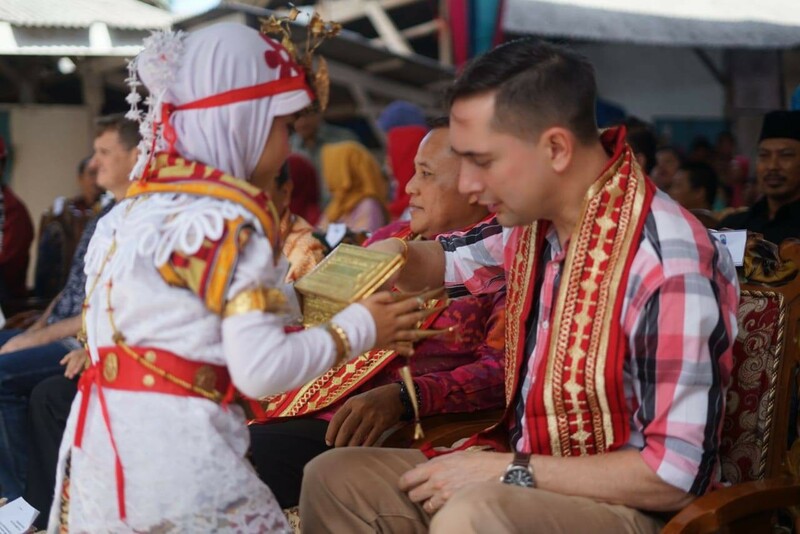 This cattle farmers’ institution in South Lampung has been well developed and operated," he added. 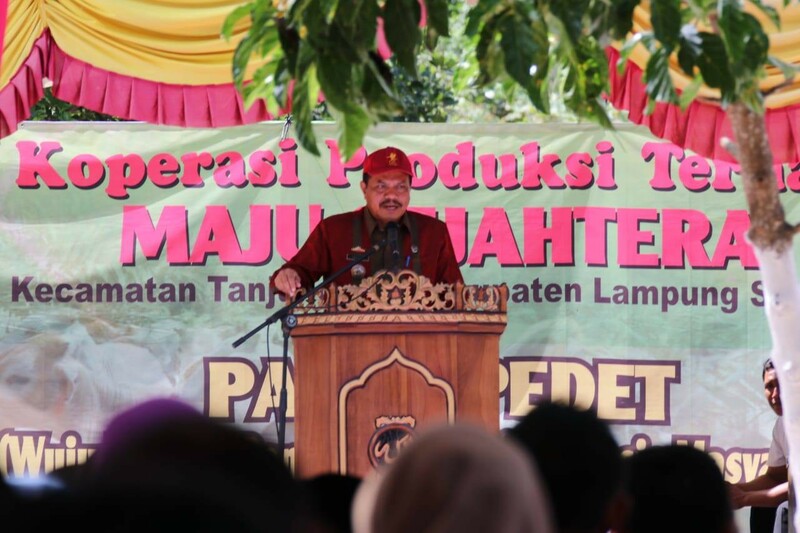 The ability and interest of KPT MS members and the surrounding communities in Tanjung Sari and Tanjung Bintang Sub-districts to raise BX cattle were increased rapidly because this program has proven that the daily care and management of BX cattle is not as difficult as imagined, and it is possible to do this using local resources. It was also proven that the BX breeders can produce their second and third calves with a much lower calving interval of 14 months, with some cows calving after only 12 months from their first calf! 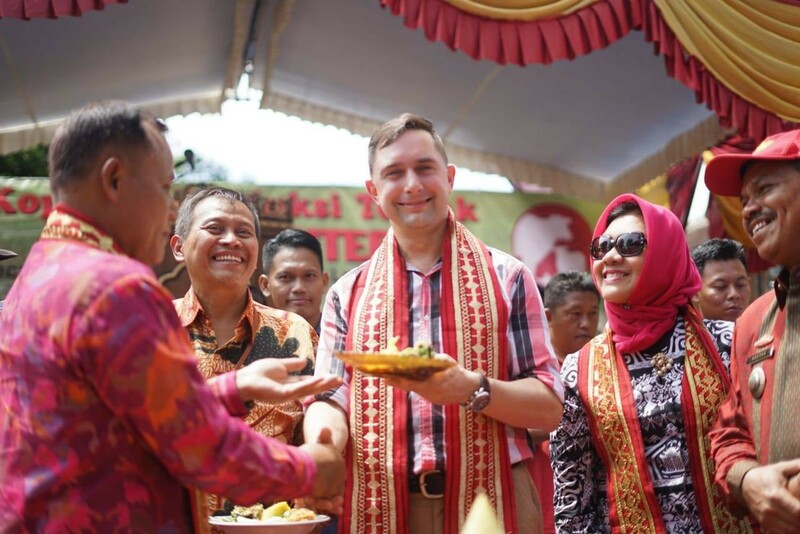 The Agriculture Counsellor at the Australian Embassy in Jakarta, George Hughes, said that KPT MS had demonstrated significant progress in terms of cattle management capabilities and commercial institutions. 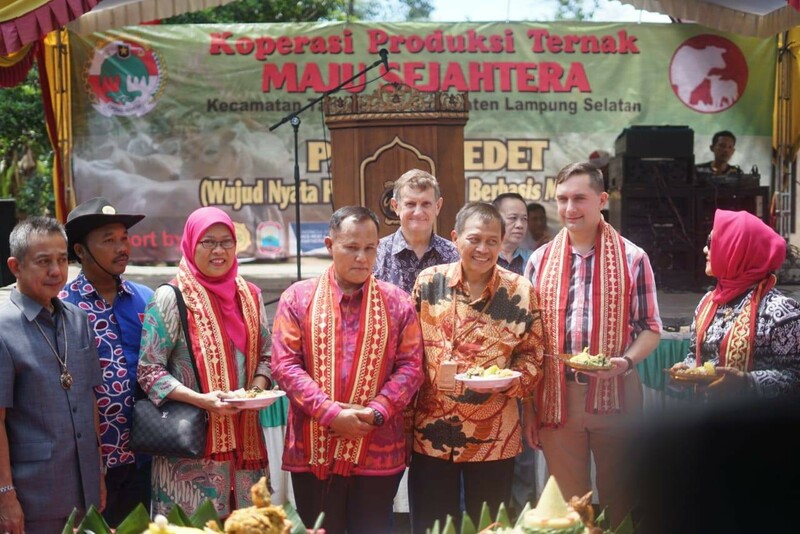 "KPT MS has gone through the Commercial Viability Assessment (CVA) process and shown remarkable efforts in pursuing herd productivity, cost control and managing the broader environment, after more than 18 months in collaboration with the Indonesia Australia Commercial Cattle Breeding Program."